The harmonious Himalayas, breathtaking experiences and tranquil monasteries – a tour to Asia can be something splendid! Enchanting Travels Operations Manager Vivek Kutty unlocks the enigmatic mountain kingdom of Bhutan, as he recalls his first tour. Reaching Bhutan was the dawn of the adventure. With the Druk Air flight I expected a small aircraft, but nothing prepared me for a small temporary kiosk and the boarding card devoid of seat numbers. One boarding announcement and that was it – I joined the throng of passengers angling for window seats so they could enjoy this amazing landscape. The plane may have been small but the service had genuine warmth with an added cultural touch as the hostesses dressed in traditional Bhutanese costumes. 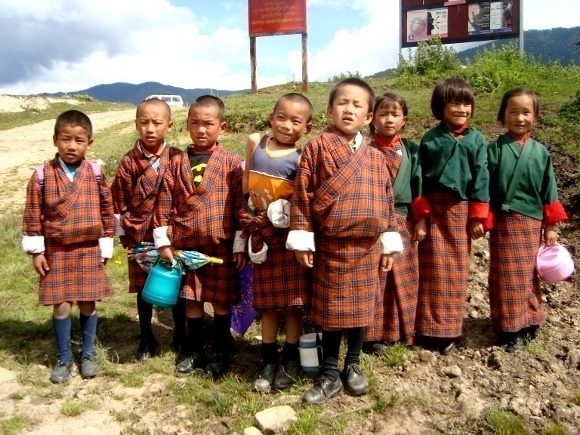 All Bhutan citizens are by law required to don traditional attire – the gho (for men) and the kira (for women). Landing at Paro airport was itself a timeless experience. This looked like the most difficult landing in the world: the plane zooms close to 12,000 foot mountains. I could see the landing strip in the distance located in a deep valley and it involved negotiating a series of mountains, rapid descents and then a steep bank to the left. We arrived safe, sound and exhilarated. A charming airport welcomed us, once again with the staff dressed in traditional Bhutan costume. 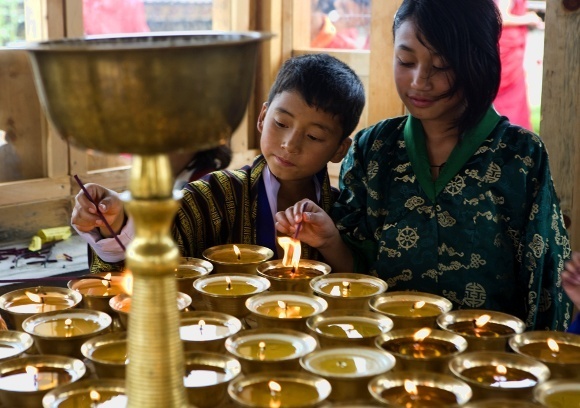 The Kingdom of Bhutan not only keeps its traditions alive from within – it also takes active steps to limit outside influence whilst reaping the economic benefits of tourism – only 21,000 foreign tourists are allowed to visit each year. My guide Tsing welcomed me into the Kingdom by handing over a warm, white scarf to me. After guiding me to the car he immediately started introducing me to the country. The people of Bhutan are very warm and respectful, love their King and are extremely respectful to the laws. Bhutan is a beautiful and inspirational place – with positivity in the air, probably aided by a lack of pollution. With no noise, no traffic signals and no billboards you can understand why Bhutan is considered the happiest nation in the world. Bhutan is a trekker’s paradise and I reveled in various long walks and treks through the country. Yet I never felt fatigued or tired – the nature and the charming villages carried me along. The forests are so lush and green and the care the Bhutanese take in their environment is clearly evident. One night I walked from Paro to the legendary Tiger’s Nest and had a fantastic experienced camped in the middle of the forest. Perched miraculously on the side of a sheer cliff 900 meters above the base of Paro valley, the only sounds you can hear at the Taktshang Lhakhang are the murmurs of the wind and water and the chanting of mantras. It’s a magical place. I never felt like coming down! At around 2am, I realized that it was snowing. Brought up in south India’s tropical climates it was here that I saw snow for the first time in my life. Driving from Thimpu to Punakha, the snow transformed into thick layers on the road and the driver was thrilled to see my excitement and stopped en-route a few times so I could truly enjoy it. Bhutan has been isolated for so long that visiting a village here is like stepping back in time – it’s such a peaceful experience. Gangtey was by far my favorite village in Bhutan and is a world away from western civilization. Tucked between two mountains, the charming lodge I stayed in provided me with mesmerizing views of the valley. Internet and even electricity is still only available within a handful of lodges in Gangtey, but one never feels the requirement for these. I had never felt so comfortable being detached from my mobile phone and internet! I visited a local monastery where I was asked to remove my shoes and socks. This is a standard practice at most monasteries and temples, as you will find during your tour to Asia. As a person used to dancing in Indian temples due to the heat of the rocks or cement underfoot, it was the surprising chill of this floor that made me walk faster. After the monastery we proceeded on a nature trail through some lesser known forests, villages and fields. We spotted some rare species, including the Black-necked cranes. Everything about Bhutan can be described as simple. Even the food is very simple yet I relished it to the core. Since the country experiences the cold climate for almost 12 months with the severity going up and down, the Bhutanese prefer to have spicy food to keep their bodies warm. The food has four variables: quantity of spice, use of local cheese, preferred meats and vegetables. Asparagus is grown in abundance since the climate suits its cultivation. My favorite food was the national dish Ema Datshi. Ema Datshi consists of a quarter of a kilo of slit green chillies (ema) cooked with chopped onion, and smothered in a sauce made from datshi – homemade cheese made from either cow or yak milk. I made it a point to learn to cook Ema Datshi from one of the hotels I was staying at although I did not quite master the dish, which is perhaps an excuse for more tranquil trips to Bhutan. It was emotional to leave the country behind. Bhutan has a different kind of energy. The warm, friendly and above all, happy people left me with the realization that this is what travel can do to you. Your tour to Asia is incomplete without a glimpse of this beautiful country. 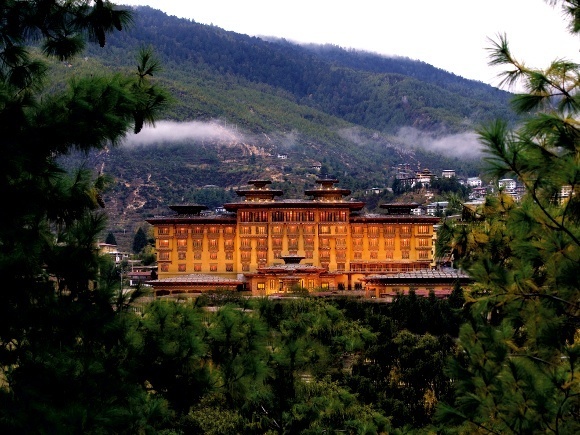 Experience the magical mountain kingdom of Bhutan for yourself.